My Grandad has always said “When I die, just stick me in a rubbish bag.” (We are a joyful bunch.) He is still alive and kicking, and cracking his care workers up with his jokes, but his sentiment is one about how flipping expensive it is to die these days! Here in New Zealand people are working out ways to do the whole Dust to Dust thing in a way that has less financial and environmental impact. 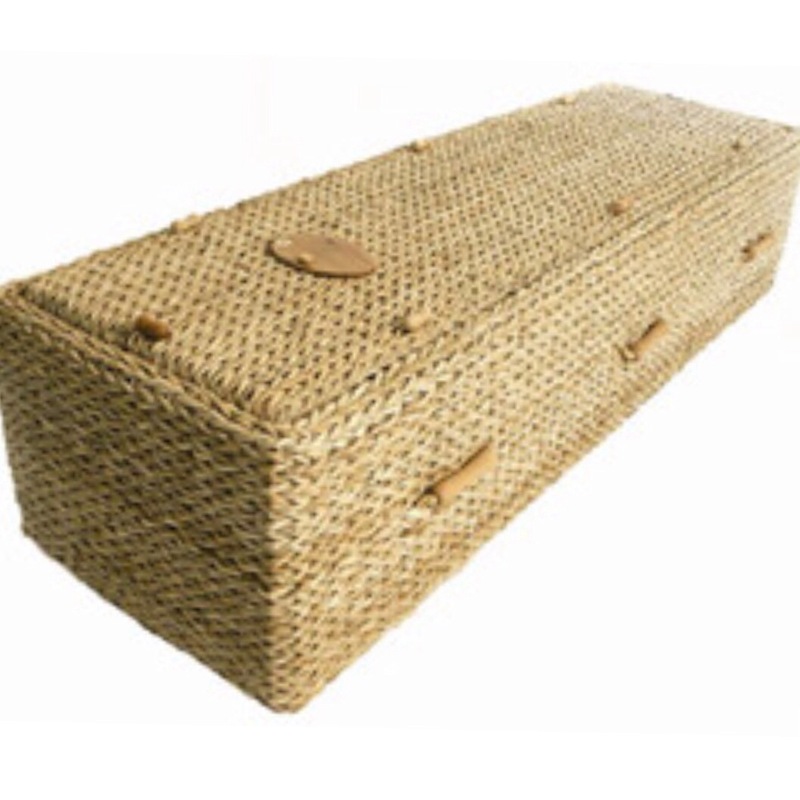 Specially designed cardboard boxes, wicker baskets and even DIY coffins (knocked up by Uncle in the shed) are becoming increasingly popular. One cemetery, Waikumete, has a brand new eco area solely devoted to these new coffins. People are also buried just one metre under to aid decomposition. Have you sorted your thrifty death plan yet?! If you need me, I’ll be in the garage putting something together…. *Sorry- too many puns not to slip one tiny one in! Thanks to NZ HOME mag for this quote and Undertakers for the image.